According to designer Hee Welling, his idea was that the About A Chair chairs should fit just as well in a restaurant or canteen as in the office, at the dining table or at the conference table. In this context, the idea of simplicity became a guarantor for multifunctionality and the ability of the About A Chair collection to be combined. The AAC 52 is a height-adjustable office chair with a five-star base from the About a Chair collection. Thanks to its gas lift, the seat height can be adjusted and set to any height between 42 and 56cm. This means that the chair can be adapted to different working heights and tables in next to no time. The ergonomic seat shell of the Hay Office Chair is made from polypropylene that is dyed through. For even more comfort, the office chair can also be configured with a firmly integrated cushion of 1cm thick foam, so that you can sit and work comfortably in the chair even for several hours. The base is a five-star base made from polished aluminium. The height can be adjusted by simply loading or unloading the chair and pulling the lever underneath the seat shell. The castors on the swivel chair make its flexibility complete. 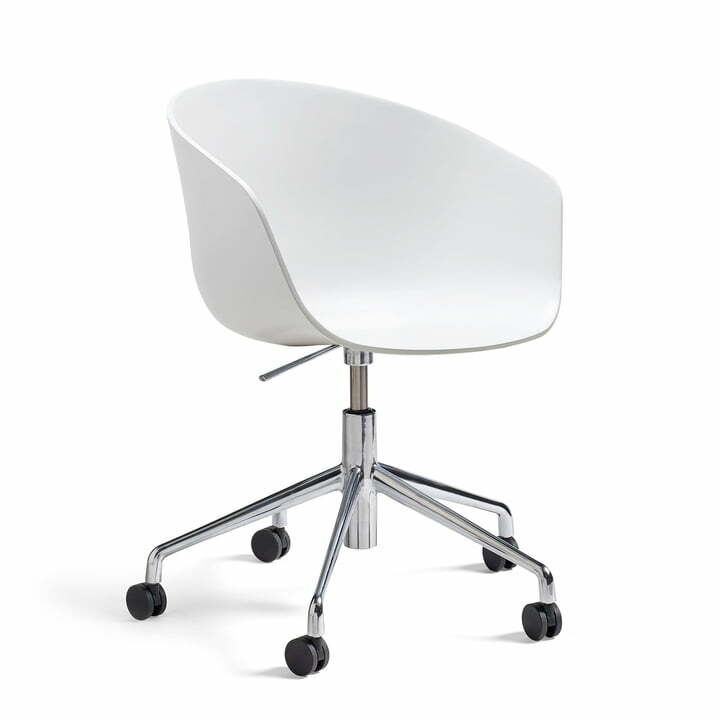 As the AAC 53, the adjustable chair by Hay is also available in a fully upholstered version. 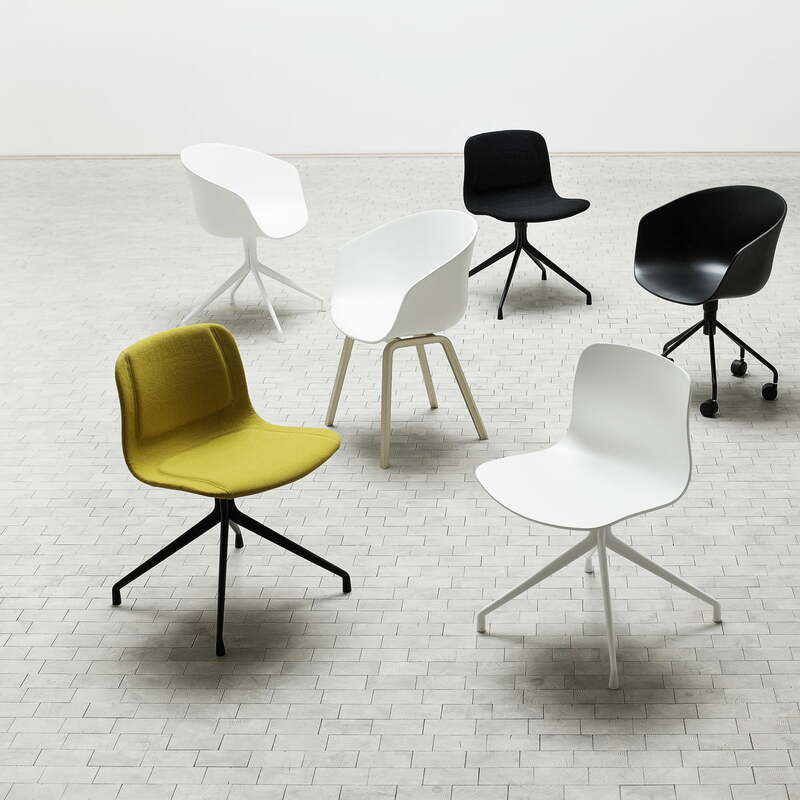 The About A Chair series by Hay is available with many different seat shells and bases, such as AAC 50 with the same base and seat shell without armrests: The seat shells and bases of the AAC series result in numerous combinations, which never seem accidental or unwanted. We will gladly advise you about personal configurations.